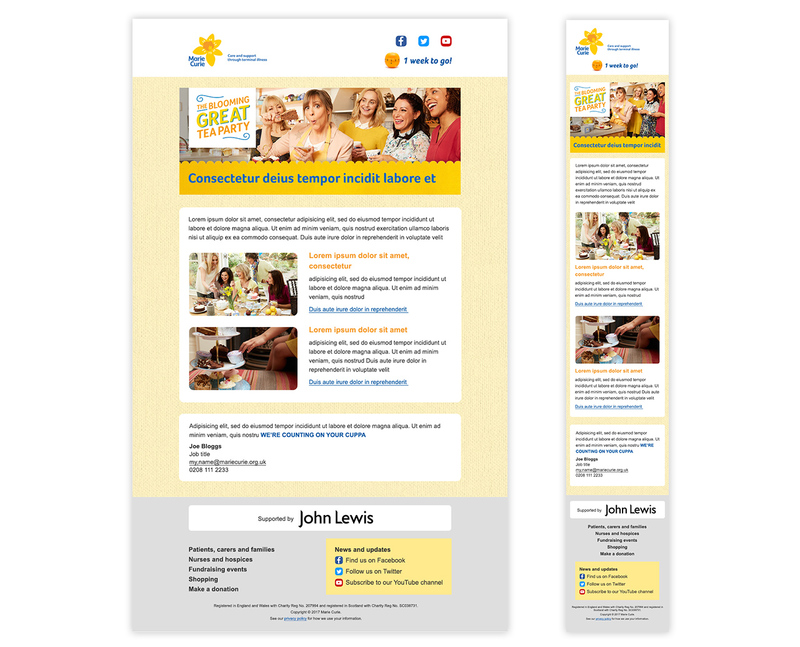 Marie Curie has several major fundraising campiangs every year. The Blooming Great Tea Party was created completely in house for 2017 and I was the lead for all digital creative; website, email and marketing banners. 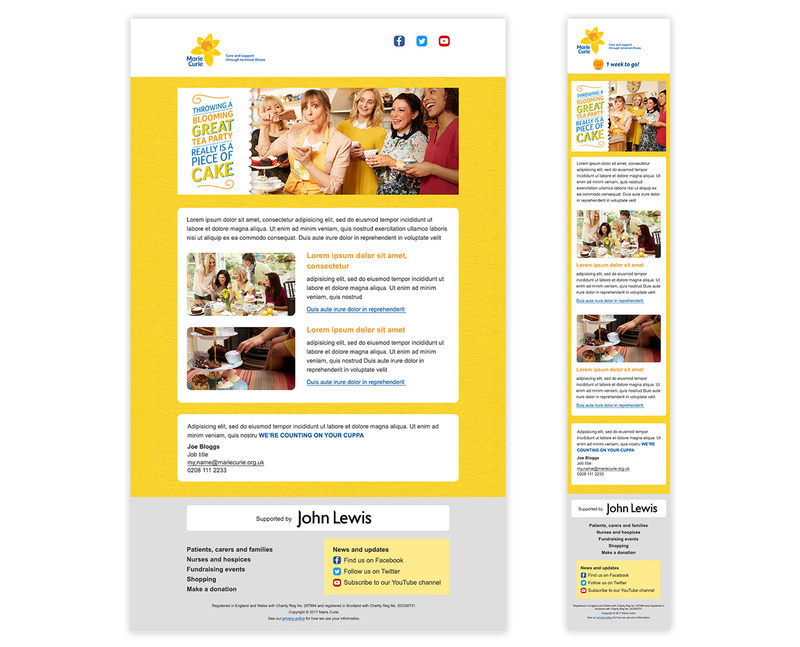 Brief: to create a set of webpages to encourage sign ups to the campaign, with a particular focus on mobile. 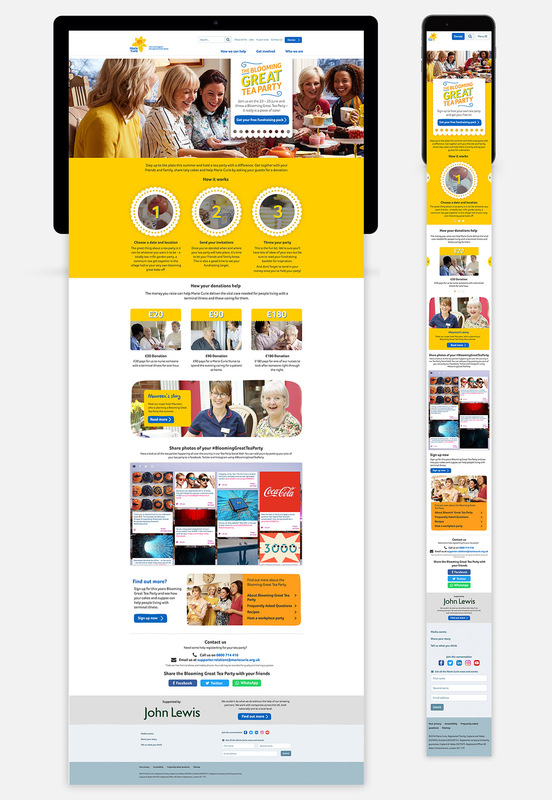 The second stage of the campaign was to create new pages to support online banking, an new feature on the site. 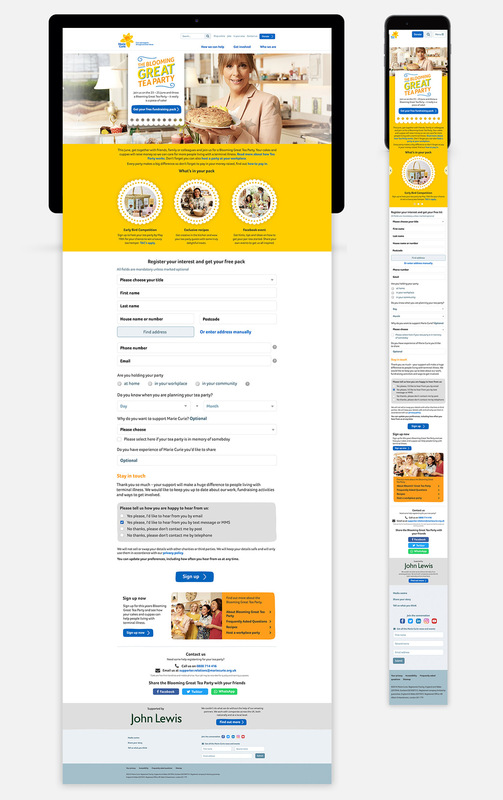 The potential user journeys were mapped out and wireframes created, from this I worked on the look and feel for the pages as well as streamlining the sign up form to be easier to use on mobile. After some user testings, some new requirements like a small menu and extra pages were added to my designs. Brief: a new design for the Adobe email supporter journey based on the overal creative of the campaign, as well as bespoke hero banners for each email. 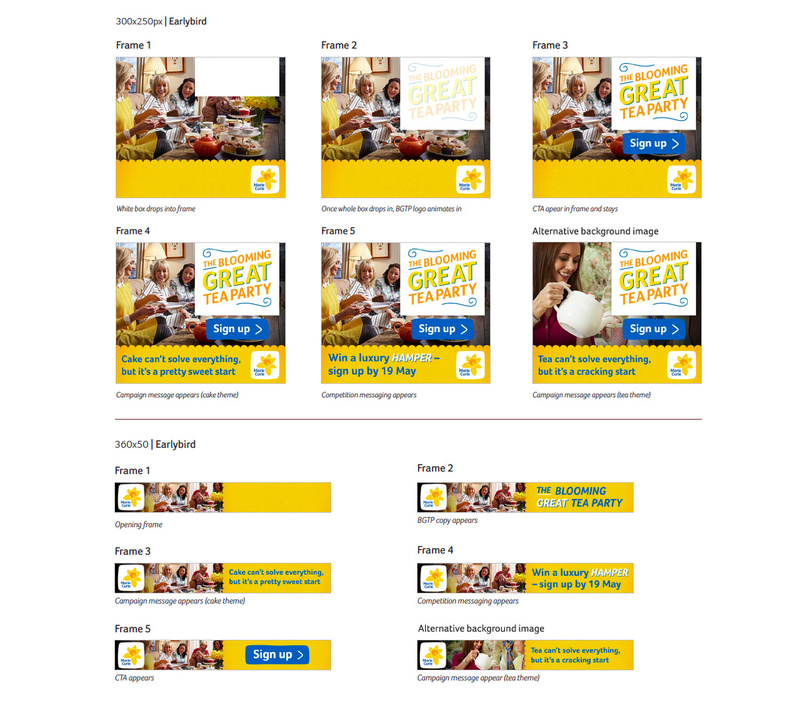 Brief: to deliver 4 sets of HTML5 banners ro drive sign ups to the campaign, targeting home and workplace based users.